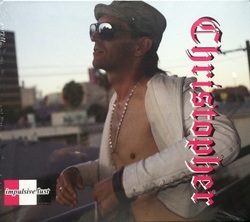 Get the new album "Christopher" and we'll send you a copy of the classic "Gothic Reggae" cd for FREE! (Tax & Shipping in USA included) All for $12. This is an indie project, so email us your address and order and we'll let you know where to send your Check or Money Order. email us at cjackzen@yahoo.com Thank you and Cheers! Heya, check out these 13 live tracks of pure spontaneous creativity! Only 2 tracks had some lyrics that were pre-thought out, the rest were a pure gift from the spirit! ;) Catch all the energy as Christo jams with an assortment of very talented characters. If you're a fan, you will recognize some of these songs, as a few were later redone, nearly word for word! $10 . tax & shipping in usa included! Heya Heya! 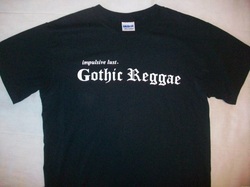 Get your hands on the follow-up to Gothic Reggae. In this "Raw Demo", you'll get 12 hot, raw, catchy tracks of a New style Reggae! The one of a kind expression that started it all going in a new direction for impulsive lust. 12 wild songs, that you can get nowhere else. Professionally mastered and then produced by DiscMakers. $10 . tax and shipping in usa included! 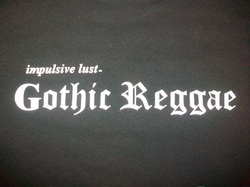 Check out the one of kind impulsive lust Gothic Reggae T- shirt! $15 . tax & shipping in usa included! To order merchandise, email impulsive lust at cjackzen@yahoo.com Thank you!